Drafting up a first-time Japan itinerary? I’m willing to bet that the island of Hokkaido didn’t quite make the cut. With the popular charms of the Japanese “mainland” of Honshu beckoning, it’s not much of a surprise that Hokkaido often gets overlooked by travellers from abroad. Let’s buck the system and offer up an alternative to the Tokyo-Kyoto-Osaka triangle. The beautiful island of Hokkaido, (literally) chillin’ out in the northern reaches of Japan, is a highly underrated corner of East Asia. And even if you can only spare one week in Hokkaido, the island’s biggest charms—from hot springs and ski resorts to historic cities and volcanic scenery—are all within reach. Do I need travel insurance for Hokkaido? Depending on your outlook, Hokkaido is, for the most part, a year-round destination with every season bringing about its own unique perks. In fact, picking out the best time to visit Hokkaido doesn’t offer such a cut-and-dry answer! 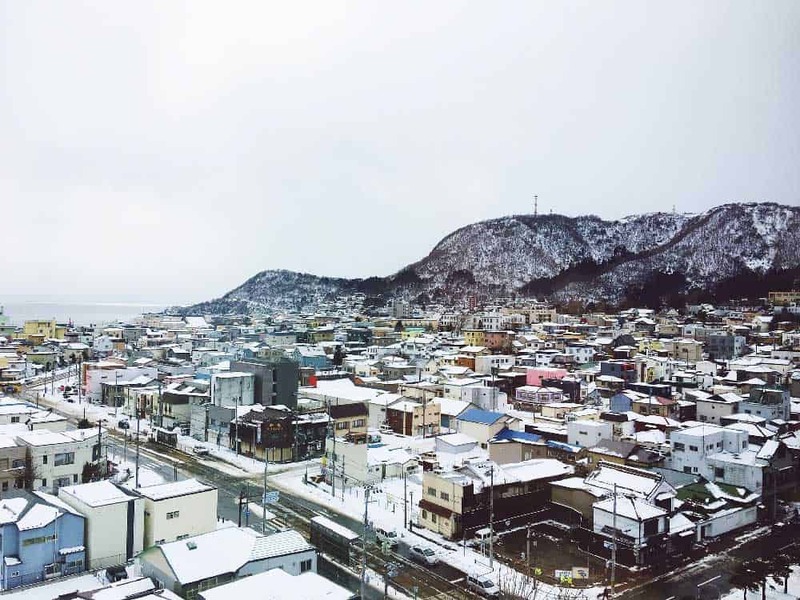 The far north location leaves Hokkaido suffering from harsh and cold winters with sub-zero chills and plenty of snowfall. Bundle up during winter in Hokkaido though, and you’ll see its charms whether its plowing down powdery pistes in some of Japan’s best ski resorts or defying the cold by soaking in a natural hot spring. Both spring and fall are magical in Hokkaido. In spring, Hokkaido’s one of the best places to spot cherry blossoms in Japan. Likewise the spring bloom in Hokkaido, sprouting up lavender and tulips throughout, is equally enchanting. In fall, expect much of the same majestic with the fall colours painting the island in beautiful tones. Even summer’s great in Hokkaido. While the summer months are generally not the best time to visit Japan (check out our Japan weather guide to see why), Hokkaido avoids much of that dreadful heat and humidity that plagues the rest of the country. It’s a great time to go hiking in Hokkaido, especially if you manage to slip into its rugged and lesser-known quarters. As I’m sure you already know, Japan isn’t exactly one of the world’s cheapest destinations. And, of course, that means that protecting yourself with a good travel insurance policy is extremely important here! When you’re looking for travel insurance for Hokkaido, you’ll want to get a policy that covers all the essentials from baggage protection to trip cancellation to medical expenses. Ensuring you have adequate medical coverage is particularly important. The cost of health care, while nowhere near as high as places like the United States, isn’t exactly cheap. Injuries or serious sickness requiring longer-term hospitalization could come with a hefty price tag attached. On top of that, many hospitals in Japan won’t treat foreign patients without proof of medical coverage. Preparing for your Hokkaido itinerary? Don’t forget to protect yourself with travel insurance! When you dream of visiting Japan, there’s a good chance it doesn’t look much like Hokkaido. Splashes of these crave-worthy Japanese moments—from mystical temples and to the flashy big city life—are scattered around, but they’re only a small part of what draws visitors to the island. Hokkaido is a world to its own, the most rugged and handsome of the four main Japanese islands in its appearance. Overall, it’s also the quietest and least developed part of the country. With the exception of Sapporo, metropolitan Japanese life is practically absent; the island is mostly a collection of small to medium-sized towns that defy Japan’s usually high population density. Of course, one week in Hokkaido is hardly enough to experience the whole breadth of the island. 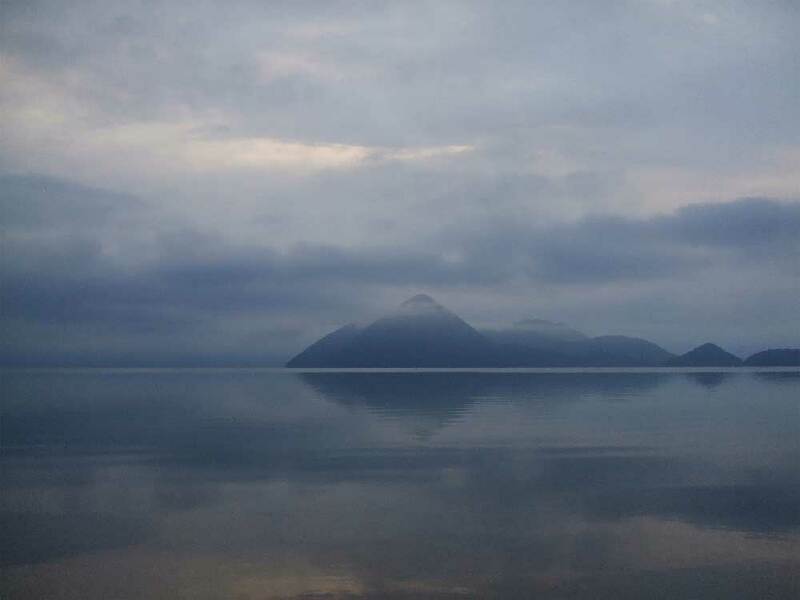 By following this Hokkaido itinerary you will, however, get a superb introduction to the island without wasting your time on long journeys or moving through at breakneck speed. There’s no better introduction to Hokkaido than its biggest city, Sapporo. Compared to the likes of Tokyo, Osaka or Kyoto, this northernly Japanese city gets little attention. And it’s not so surprising as Sapporo lacks the historical significance of Japan’s other major cities. In fact, Sapporo’s only been around since the mid-19th century! That’s not to say a visit to Sapporo as any less appealing. What Sapporo lacks in ancient history it makes up for by painting a compelling portrait of modern Japan. Through and through, it’s a Japanese city par excellence, delighting with its food & drink, shopping, and nightlife as well as any town of its stature. Plus, it’s location isn’t so shabby. Diving into some of the best day trips from Sapporo, you’ll discover everything Hokkaido is famous for from its swoon-worthy mountain scenery to its relaxing onsen towns. Although it might seem like a lot, give yourself at least 4 days in Sapporo. The journey to Hokkaido is often a long one, so you’ll want to unwind a bit and not push yourself too much. Besides, there’s plenty to keep you busy in Sapporo in that time, both in and out of town. Spend at least two days in Sapporo itself, leaving aside two extra days for the two day trips outlined here. 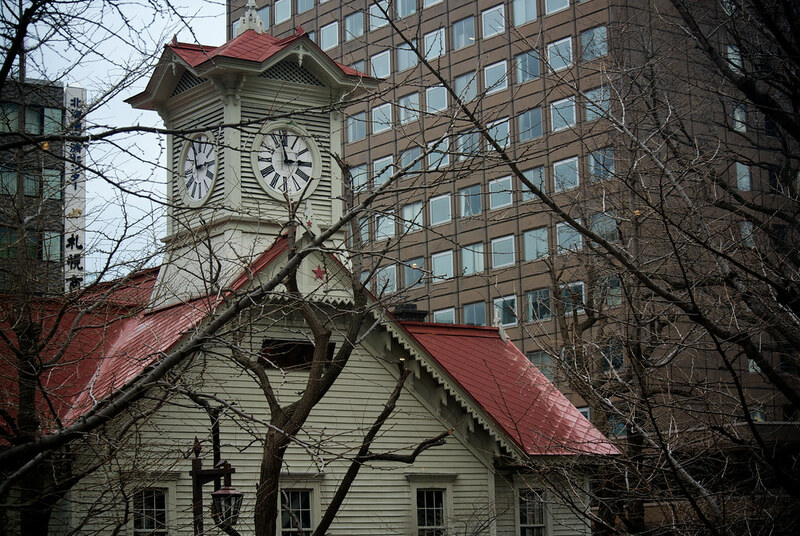 Looking slightly out of place, Sapporo Clock Tower showcases a style that’s more small-town America than big city Japan. 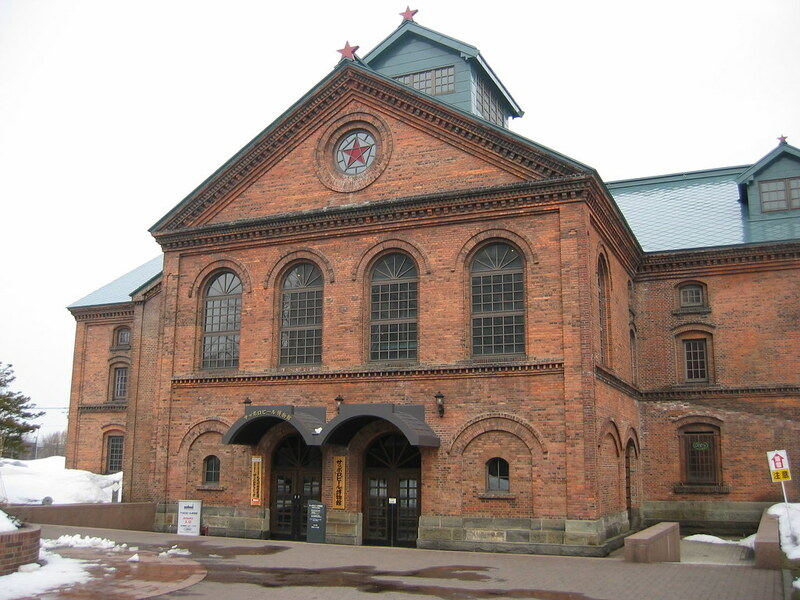 The wooden building is one of the most famous in Sapporo, hailing from the city’s early days when it was part of the Sapporo Agricultural College. Besides staring quizzically at this architectural anomaly, pop into the first-floor museum for a primer on the tower and Sapporo’s (fairly short) history. The second floor hosts a music hall and an exhibition about the clock itself. 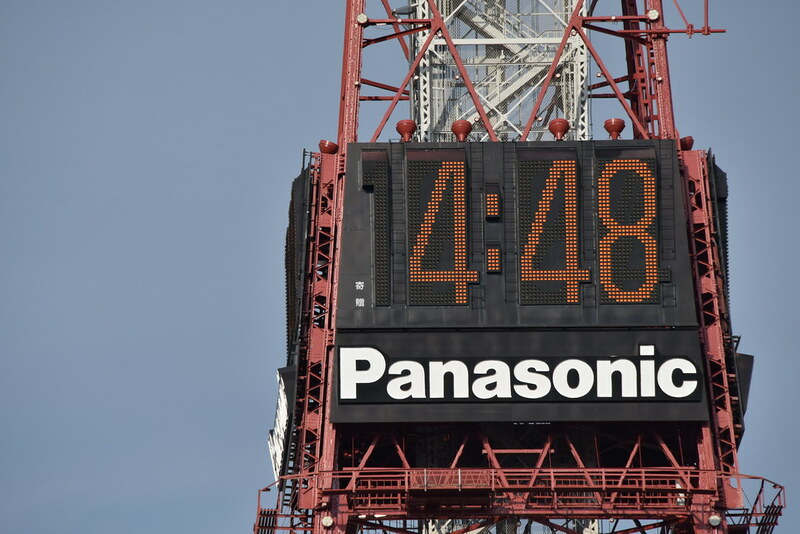 If the minuscule two-storey stature of Sapporo Clock Tower left you underwhelmed, the sky-high Sapporo TV Tower should cure your blues. At 147.2 metres, this communications tower is a short 5-minute walk from the clock tower and offers excellent city views from its 90-metre-high observatory. Built in 1957, Sapporo TV Tower remained the tallest building in Sapporo until 2003 when the Sapporo JR Tower above Sapporo Station one-upped it. Things aren’t look up for the ol’ gal as plans to build a new 650-metre-high TV tower have recently surfaced. Until it comes to fruition though, Sapporo TV Tower, with its prime viewing location above Odari Park and central Sapporo, will remain one of the best places to gape at the city from above. After taking in Sapporo from above, jolt back down to earth to wallow in the beauty of Odori Park. 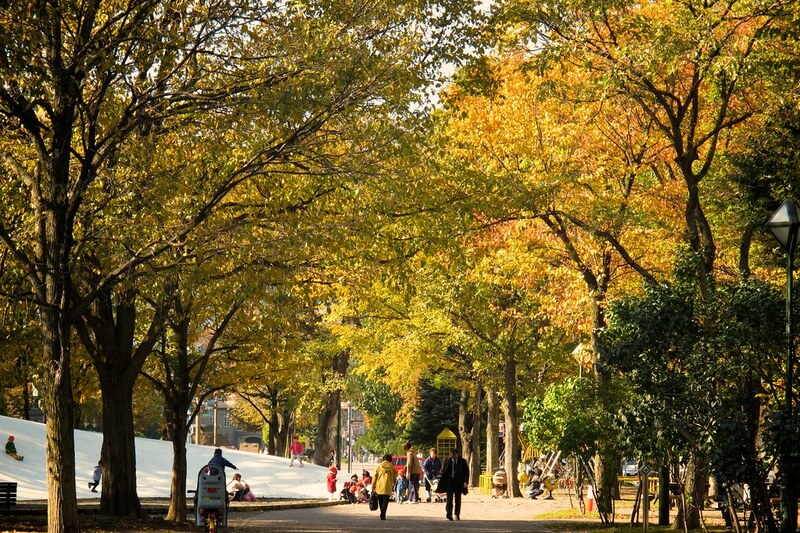 The feel is certainly nothing like the expanses of Shinjuku Gyoen in Tokyo or Osaka Castle Park in Osaka, but Odori Park makes for a pleasant stroll for your first day in Sapporo. As much as you might avoid visiting Hokkaido in winter, Odori Park is at its most intriguing during the Sapporo Snow Festival. In this annual 7-day celebration, snow & ice sculptures emerge at a handful of sites around Sapporo, creating a lovely winter wonderland scene. Odari Park is the biggest of the venues, hosting a dozen or so massive snow sculptures soaring as high as 15 metres and over a hundred smaller ones sprinkled about. 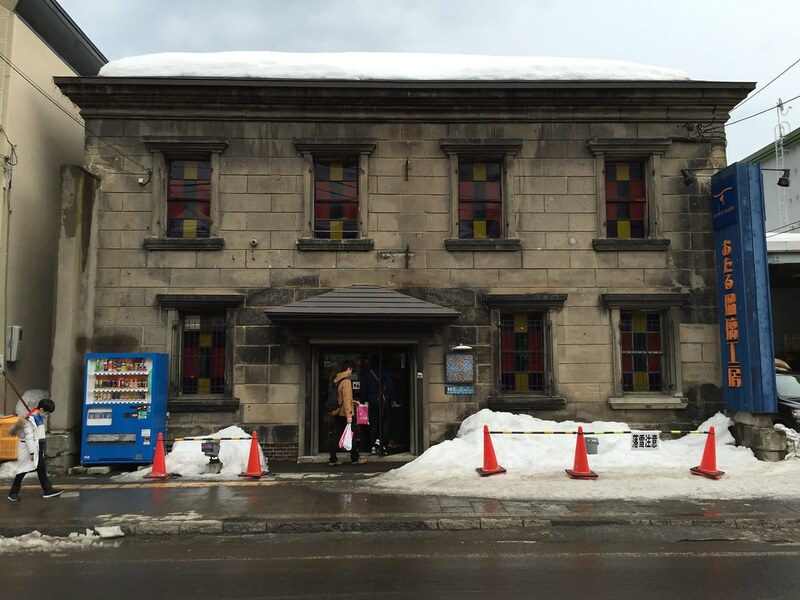 Think Sapporo is sober and tame? A quick trip to Susukino will change your tune! 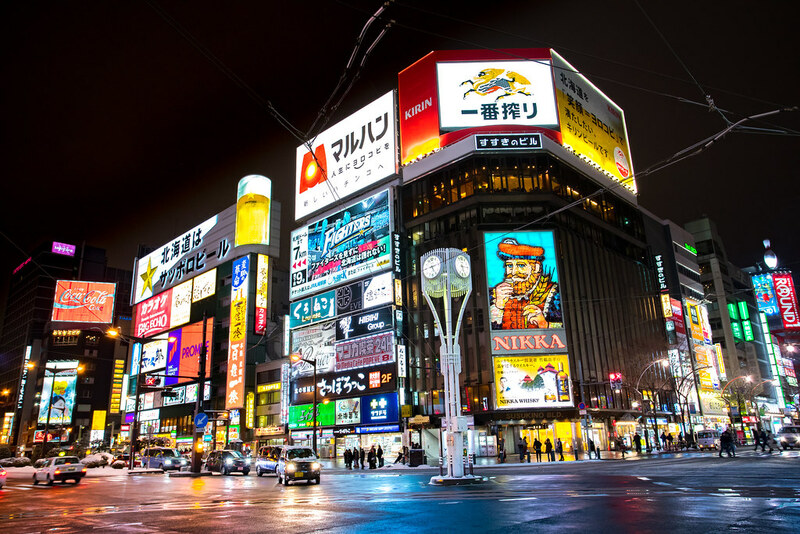 Susukino is Sapporo’s entertainment district, flushed up with the likes of Kabukicho in Tokyo. In the neon-washed streets of Susukino a whole assortment of amusement awaits from fun karaoke bars and yummy restaurants to pachinko (massage) parlours and “adult-friendly” places that’d make Amsterdam blush. If the sordid affairs of Susukino scare you off, find refuge at Ramen Yokocho, a small alleyway of restaurants proud to serve you Sapporo’s famous miso ramen, before returning to a tamer setting. Lying not far from central Sapporo, Mt. Moiwa is a quick reminder that you are indeed in Hokkaido. This popular recreation spot is a favourite for Sapporites and visitors alike, famous for its incredible views over the city’s skyline. Half the fun of Mt. Moiwa is getting there. From the base of the mountain at Moiwa Sanroku Station, it’s just 5 minutes up the Moiwa-yama Ropeway to the terminus at Moiwa Chufuku. Along the way, soak in the panoramic vistas from the cable car as you hover atop the city. To make the final ascent to the peak—where you’ll find the observatory, planetarium, and a French restaurant—hop on the mini cablecar for a quick 3-minute ride. 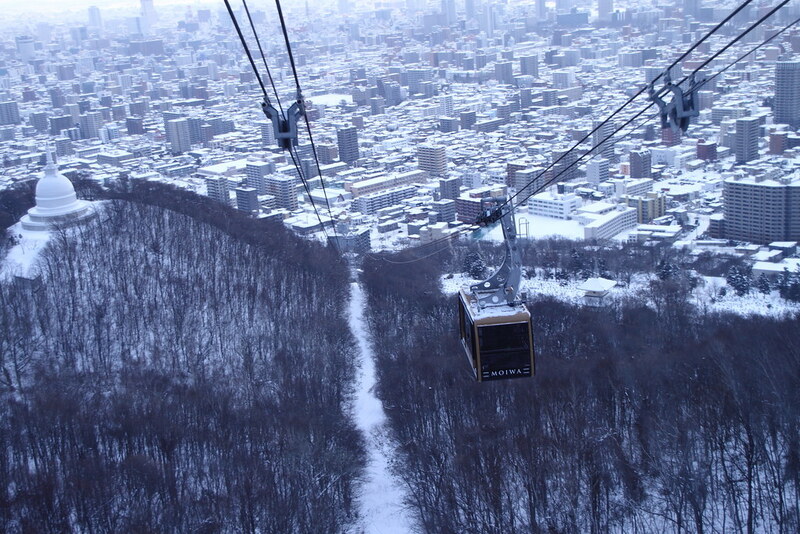 To get the best views of Sapporo, time your visit to Mt. Moiwa with the sunset. While poppin’ shots of sake seems like the more authentic Japanese drinking experience, grabbing a quick taste at the Sapporo Beer Museum, celebrating the sudsy drink’s birth in Hokkaido, is rarely a bad idea either. Since 1877, Sapporo’s brewed up a mean beer. Next to Asahi, it’s one of the two brands that regularly grace the shelves of beer stores all around the world. The Sapporo Beer Museum takes us on a ride through the history of beer in Japan along with exhibits on how Sapporo makes its beloved beer. Get the full experience by saying yes to the taste test at the end of the tour. Interested in Hokkaido’s history? Carve out some time to visit The Historic Village of Hokkaido just outside of Sapporo. This open-air museum might only take 20 minutes to get to, but it feels like stepping back 150 years in Hokkaido’s history. The Historic Village of Hokkaido showcase about five dozen replica buildings from different eras of Hokkaido’s history. Four different sections of the museum represent the major developments of Hokkaido between normal Hokkaidan towns to fishing, agricultural, and mountain villages. For a deeper dive into the island’s culture, The Hokkaido Museum is located about 10 minutes from the village. Inside, you’ll learn about the rugged island’s wildlife and the unique culture of the Ainu, a group of indigenous people native to Hokkaido. Ibis Styles Sapporo: A lovely 3-star boutique hotel in a central location in Sapporo. Rooms are spacious and outfitted with classy modern decor. 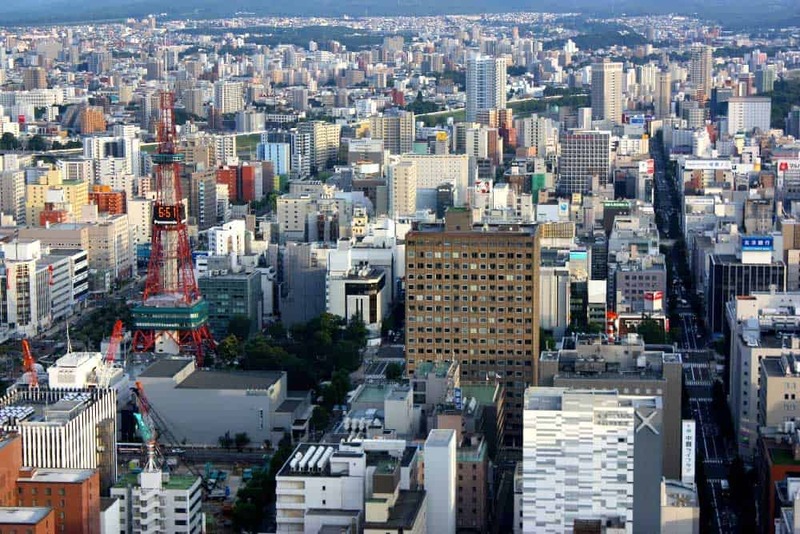 The entertainment district of Susukino is just 10 minutes away by foot. Daiwa Roynet Hotel Sapporo-Susukino: A modern business hotel that, thanks to its excellent location, is perfect for travellers, too. Rooms are super clean with comfortable seating to unwind at the end of the day. Cross Hotel Sapporo: One of the hippest hotels in Sapporo. Bright rooms boasting contemporary furnishings are complemented with ultra-modern bathrooms with extras like onsen-style tubs and rain showers available. Within quick walking distance of Sapporo TV Tower, Odari Park, and Susukino. By air: Sapporo is served by New Chitose Airport (CTS) about 50 kilometres southeast of the city centre. Although it’s one of the busiest airports in Japan, CTS doesn’t have many direct international flights. Most airlines serve Sapporo via Tokyo or Osaka including All Nippon Airways (ANA) and Japan Airlines. There’s a handful of direct flights to Sapporo from other Asian cities including Seoul (Asiana Airlines & Korean Air), Singapore (Singapore Airlines & Scoot), Taipei (EVA Air & China Airlines) and Hong Kong (Hong Kong Airlines & Cathay Pacific). Looking for cheap flights to Sapporo? I’d recommend searching for airfare deals on CheapOair. Many of the international airfares I’ve been finding recently there are cheaper than other more well-known flight search engines like Skyscanner or Expedia. After a couple days of the metropolitan buzz in Sapporo, you’ll appreciate the smaller city charms of Otaru, an attractive harbour city plopped down on Ishikari Bay. 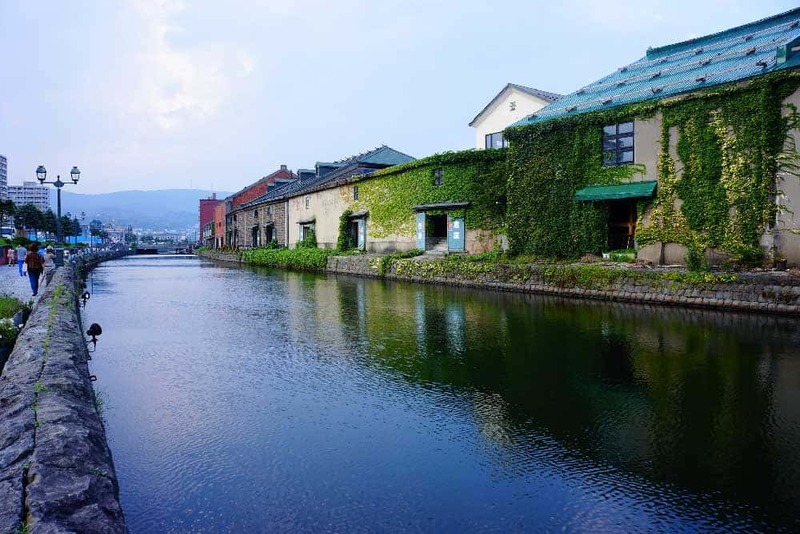 On its own, the city’s lovely canal business district, dating back to the late-19th century, makes a day trip from Sapporo to Otaru an absolute must for any Hokkaido itinerary at any time of year. Got a little more time? Spend the night at one of these top places to stay in Otaru! A lovely scene unfolds as you hobble towards the bay and first lay your eyes upon Otaru Canal, the heart of the city’s historical quarter. The canal was instrumental in Otaru’s trading industry, allowing the inland warehouses to get their goods from the main port. Soon, however, major developments of the main dock left Otaru Canal with little purpose. Slated to get filled in, its almost saw its demise until the 1980s when citizens fought to rejuvenate their historically significant canal. And good thing they did. 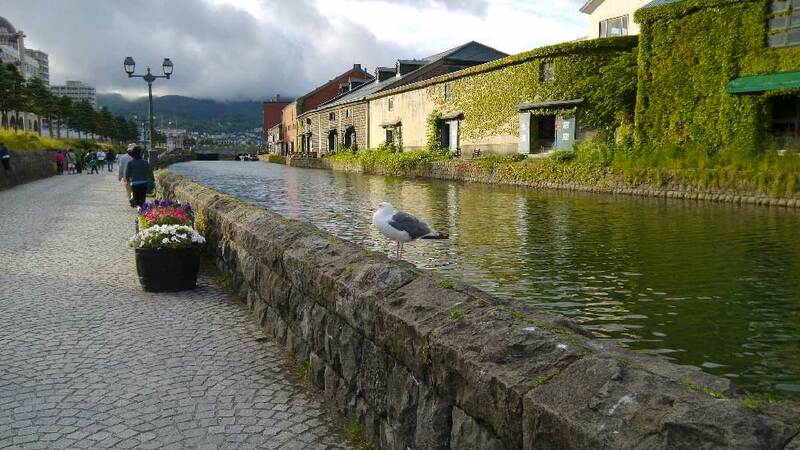 Walking along Otaru Canal is one of the best ways to spend time in this small port city. Many of the district’s old warehouses now hold galleries, shops, and restaurants to peruse. Although the canal is beautiful day and night, taking an evening stroll under the tender glow of antique gas lamps presents Otaru at its most atmospheric. If you’re visiting Hokkaido in winter, you’ll also dig a chance to check out Otaru Canal under the spell of the city’s annual Snow Light Path Festival. After a pleasant walk along the canal, continue by tumbling along the old merchant street of Sakaimachi Street. 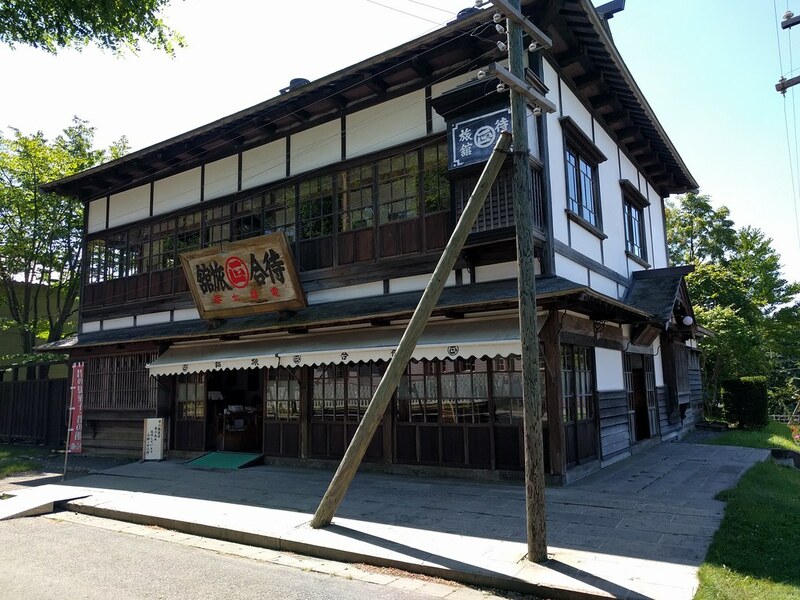 The well-preserved buildings, constructed mostly of stone and wood with undoubtable western influences, once housed a slew of trading businesses who amassed their fortunes in Hokkaido’s first wave of development. Today, the buildings along Sakaimachi Street impress with their attractive awninged storefronts that hide souvenir shops, restaurants, cafes and museums. Grab a bite at one of the many eateries to fuel up for your day or pop into one of the glass workshops along the drag to catch a glimpse of Otaru’s glassblowers at work. There’s also a Music Box Museum (free admission) near the end of Sakaimachi Street that might peak the interest of collectors. In case the massive harbour and bayside location didn’t give it away, the sea is a big part of what made Otaru the city it is today. To get a sense of its seafaring past, top off your day trip with a visit to the Herring Mansion. In Otaru’s fishing industry heyday, the most successful fishermen built “herring mansions” to house their employees and process their catches. Most are long gone, but just a little outside of central Otaru, you can catch a glimpse of what these “shacks” once looked like. The Herring Mansion (Nishin Goten) sits on a prominent location overlooking the port of Otaru and Ishikari Bay. Inside, you’ll get an idea of the living conditions of the fishermen and some of the tools that they used in their trade. Even more interesting for more perhaps is the Former Aoyama Villa, about a kilometre from the Herring Mansion. Built by the Aoyama family, one of the most prominent merchant families in Otaru, this luxurious villa showcases the ostentation that resulted from success in the area’s fishing industry. From Sapporo, there are several trains per hour to Otaru. A one-way trip costs ¥640. The journey takes between 30 and 45 minutes depending on the train types (rapid express train vs. local train). Unique doesn’t even begin to describe how different a visit to the lovely town of Furano is on your Hokkaido itinerary. 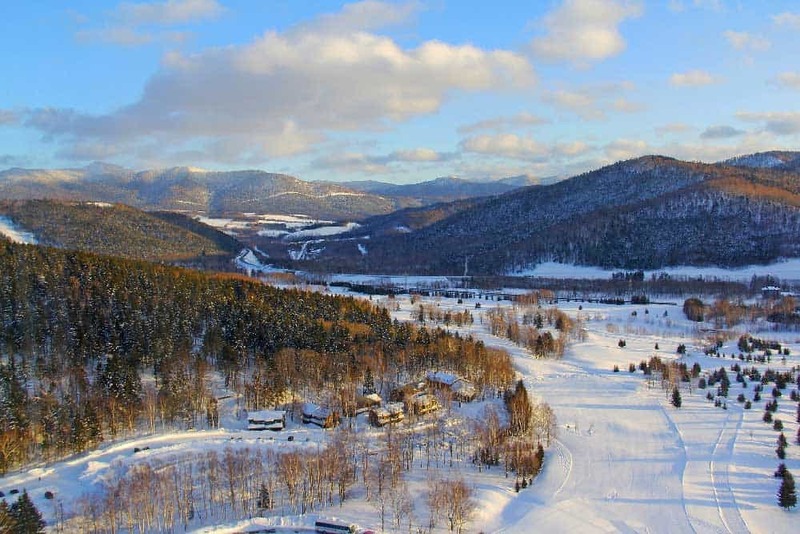 Completely defying standard notions of Japan, Furano conjures anything from images of Provence to a small ski town in Quebec depending on what season you visit. If you happen to visit Hokkaido in July, you simply need to carve out time to visit Furano when its fields become blanketed with the soft violets and indigos of lavender as its fresh scent fills the air. Most of the things to do in Furano revolve around two things: flowers & skiing. Both are compelling in their own way, and each season in Furano delivers an experience that’s worth going out of your way to get here. 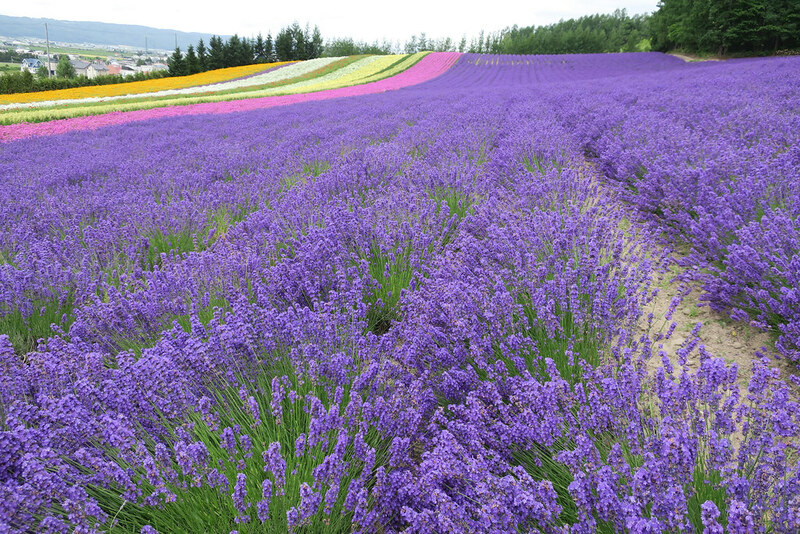 A long history of lavender production in Hokkaido belies the beautiful flower fields of Furano. These days, lavender is more of a tourist attraction than an export for the island. 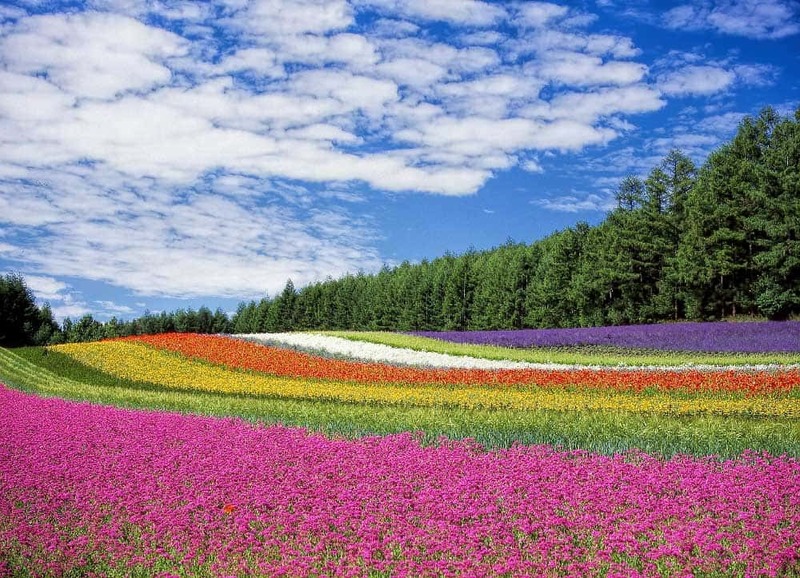 Nonetheless, coming to see the bloom in Furano is one of the most unique things to do in Hokkaido. The lavender in Furano starts to bloom in late June, hitting its peak in the middle of July and sticking around into August. If you do choose to visit at this time, know that you will not be alone: This is the busiest time of year in Furano as the Japanese flock to Hokkaido to escape the heat & humidity of the southern Japan! Even if you can’t make it for lavender season, other flowers bloom famously into the late summer and early fall. Keep your eyes peeled for rapeseed blossoms, poppies, lillies, and sunflowers as the season moves on. Who would imagine spending a day tasting local wine in Japan? Like I said, Furano is different. And nowhere is this more obvious that at the Furano Winery. This winery doesn’t have a long history, only opening up shop in 1972 amidst the lavender fields of Furano. They’ve, nonetheless, become quite good at what they do, finding particular success with their ice wine varieties. A visit to the Furano Winery is much like any other wine tour, transporting you through the whole wine production process from cultivation to aging. 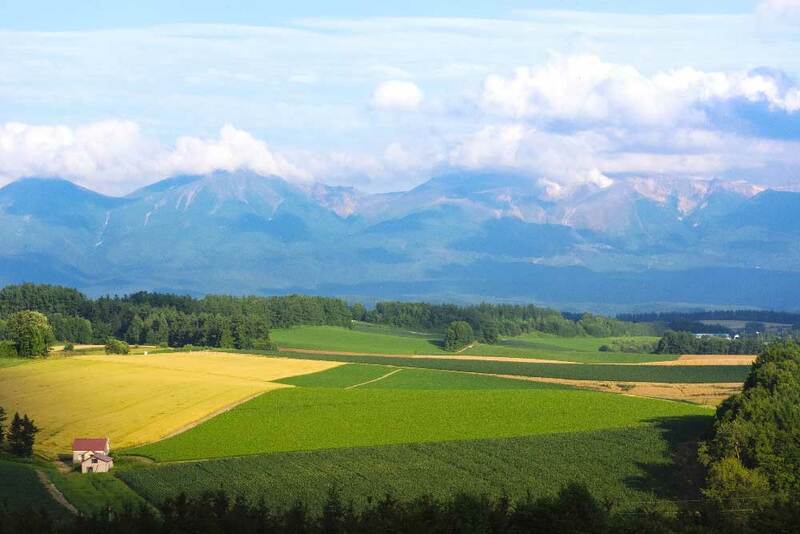 Afterwards, finish up with the requisite wine tasting while enjoying beautiful views of the Hokkaidan countryside. The Furano Winery is open all year-round. If you’re one of those few crazies around the world who loves the cold (i.e. 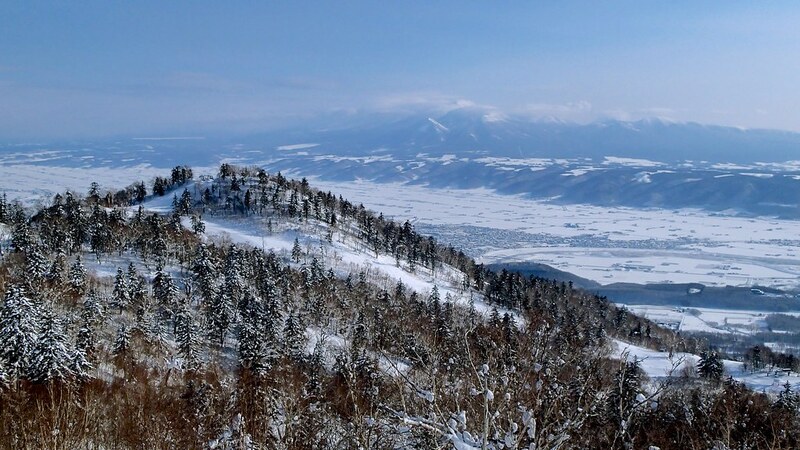 Canadian), visiting Furano in winter will put you front and centre with one of the best ski resorts in Hokkaido. Now, while it might not compare with the Swiss Alps or Whistler in British Columbia, Furano offers everything from black diamond runs for semi-pros to slopes that beginner can easy carve down. More advanced skiers looking for a challenge will also find terrain park and a half-pipe to practice their gravity-defying moves. Getting to Furano from Sapporo is far easier in the summer high season (June 24 until August 20) when the JR Furano Lavender Express trains run. The trip takes approximately two hours and will set you back ¥9,000 for the return trip. Both the Japan Rail Pass and JR Hokkaido Pass are valid for this route. If you’re visiting at other times of the year, you’ll need to hop on a JR limited express train from Sapporo to Takikawa (approximately 1 hour) and catch a local train to Furano (1 hour). The cost is ¥8,000 return. Like so many places along the Pacific Ring of Fire, there’s always something bubbling just below the surface in Hokkaido. 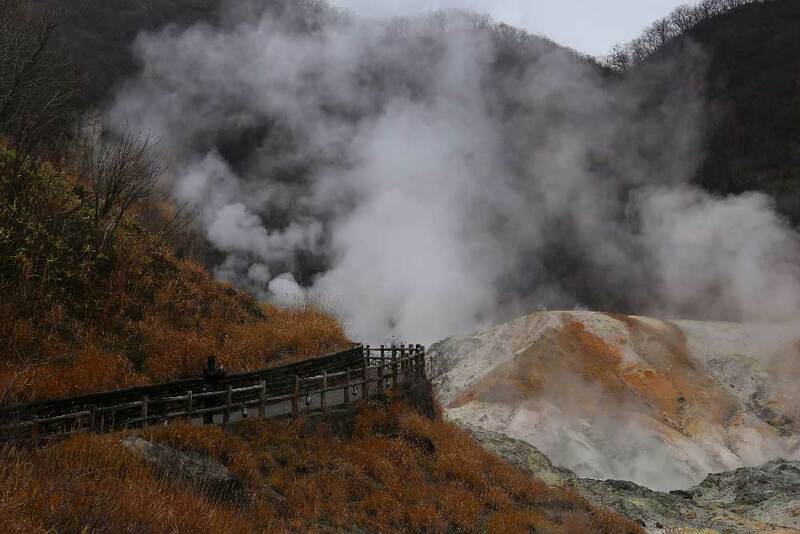 And nowhere can you enjoy the results more than in Noboribetsu, the most famous hot spring resort town in Hokkaido. Whether you’re planning to admire the raw power of the earth around town or relax in the comfort of your own onsen resort, carve out at least two day in Noboribetsu. If nothing else, slowing down for a couple days will offer the downtime you need as your one week in Hokkaido nears its inevitable close. At whatever time of year you choose to visit Jigokudani, you’re in for a treat. It doesn’t get the name “Hell Valley” for no reason, and playing witness to the unforgiving world lurking just below earth’s surface puts it all in perspective. As you make your way through the walking paths of Jigokudani, watch as hot sulfurous steam puffs through cracks in the orange-tinged soil, unfolding an eerie scene that indeed lives up to its moniker. The actual hike through Jigokudani doesn’t take long, but should be top of mind when planning out what to do in Noboribetsu. Outside of Jigokudani, there’s a whole slew of walking trails of varying intensity that slither through the deep forests above Noboribetsu. 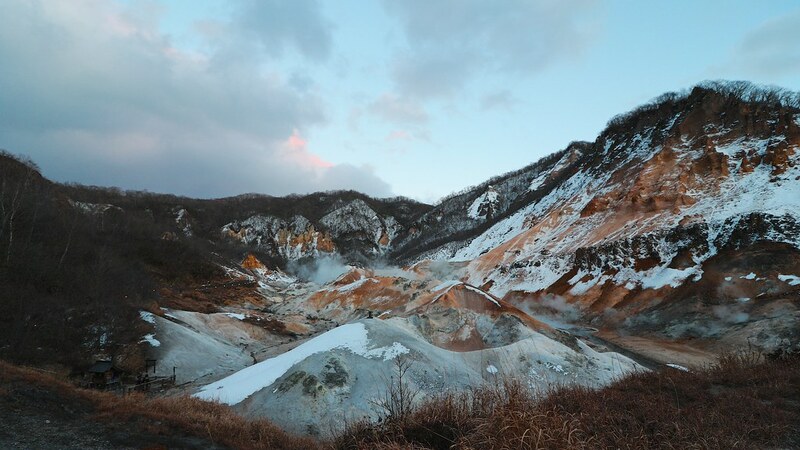 To view some of the area’s best scenery, head past Jigokudani towards Oyunuma Pond, just 25 minutes from the geothermal area on a well-marked trail. Backdropped by a rugged mountainside and forests, Oyunuma Pond and its greyish-blue waters create a scene to behold. It’s beautiful all-year-round, but to see the beauty at its height, try to visit in October when Hokkaido’s fall foliage is at its peak. From the pond, averaging over 50ºC at the surface, flows the Oyunuma River (Oyunumagawa). Following the river through the woods you’ll get a little respite at the Oyunamagawa Natural Foot Bath. Dip your feet into the hot therapeutic waters to give them the rest they deserve. You simply can’t visit Noboribetsu without experiencing a traditional Japanese hot spring bath. Many of the inns (ryokan) and hotels around town feature on-site onsen for guests. In fact, they’re much of the reason that visitors flock to Noboribetsu! Sagiriyu Public Bath: The only public bath in Noboribetsu. At ¥420, it’s a good bargain but the baths might be a tad smaller than the more exclusive private ones. Includes three pools and a sauna. Dai-ichi Takimotokan: One of the best onsen baths in all of Japan. Fed with several different spring sources, there’s a wide variety of curative waters present here in the various pools. Admission is ¥2,000 for non-guests. Noboribetsu Grand Hotel: A classy hotel featuring large baths with three different hot spring water sources. The outdoor bath overlooking a Japanese garden with a waterfall is a lovely perk. Admission is ¥1,500. Kashoutei Hanaya: One of the more budget-friendly onsen hotels in Noboribetsu, this 3-star property delights with a brilliant Japanese garden and both Western and Japanese-style rooms. Noboribetsu Bear Park Ropeway is just 10 minutes away by foot. Dai-ichi Takimotokan: You’ll simply love everything about this family-friendly 4-star resort, one of the best onsen in all of Japan. Views to Jigokudani from the hot spring tubs are absolutely stunning. Noboribetsu Grand Hotel: A truly unique onsen experience that combines Western-style comforts with top-notch Asian hospitality. The most unique feature of this 4-star resort is the atmospheric outdoor onsen, set in a beautiful zen-like Japanese garden to the relaxing beat of a waterfall. The quickest way to get to Noboribetsu from Sapporo is via limited express train. The journey lasts approximately one hour and costs ¥4,000. Local trains also ply the route at almost half the cost (¥2,160), but double the time (approximately 2 hours). Both the Japan Rail Pass and JR Hokkaido Pass are valid on both express and local trains. From Noboribetsu Station, it’s a 15-minute bus ride (¥340) into the town centre. With all that Japan has to offer, Hokkaido’s third biggest city of Hakodate doesn’t crack too many lists of the best places to visit in Japan. But as the island’s gateway to the “mainland” of Honshu, Hakodate is an almost obligatory stop when moving in or out of Hokkaido. It’s not such a bad one either. While there’s obviously better places to visit in Hokkaido, Hakodate offers more than your usual dull transport hub. Spend at least one day in Hakodate, if for nothing more than to rest before continuing on to Honshu where Japan’s more popular delights await. If you’ve only got time to hit up one place here, make it Mt. Hakodate. From it’s peak at 334 metres, Mt. 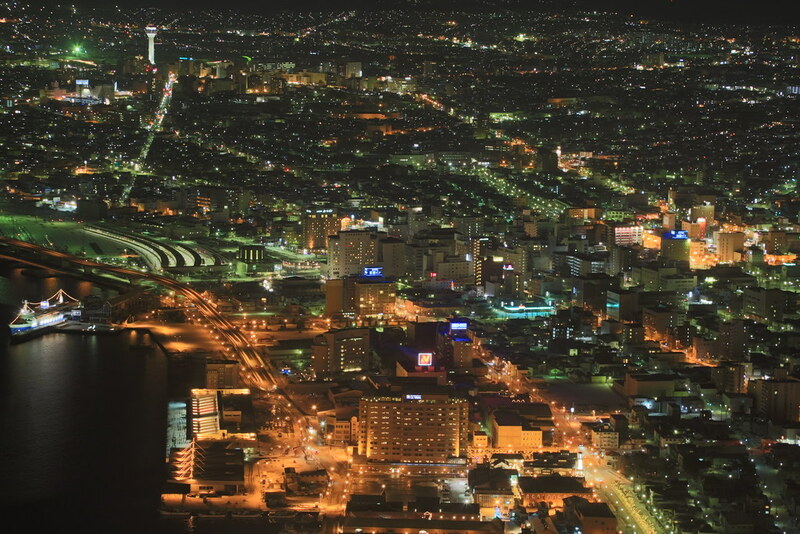 Hakodate unfolds beautiful views of the city, particularly at night when the city twinkles below. Like at Sapporo’s Mt. Moiwa, much of the fun of Mt. Hakodate is getting there. The Hakodateyama Ropeway (¥1,280 return), stretching from the historic Motomachi District to the summit, is the most scenic way of getting up the mountain. At the top hovers a café, restaurant, souvenir shops, and a free observation where a fantastic vista of the city and its mountainous backdrop awaits. Like so much in Hokkaido, Hakodate’s Motomachi District defies usual Japanese conventions. A long history of trade left the Hokkaidan port open to foreign influence as Russian, Chinese, and European traders moved in to enhance their riches. 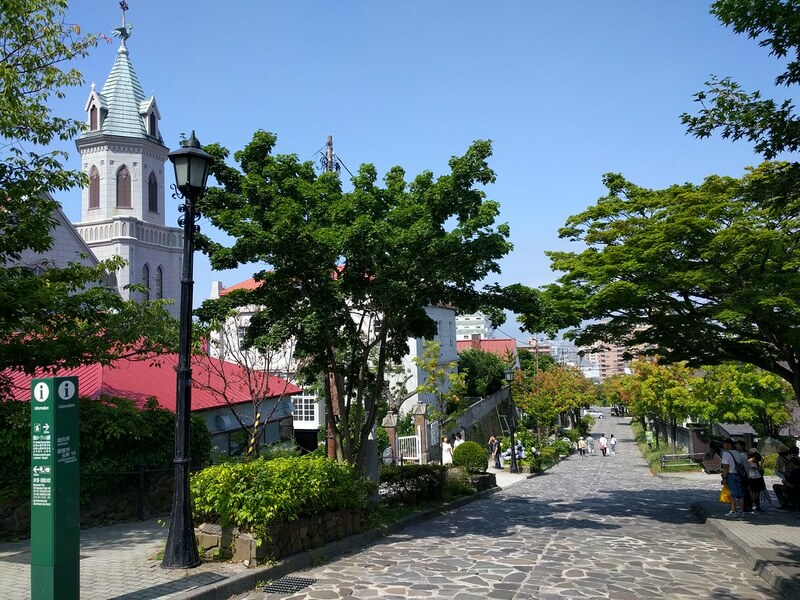 The architecture of Motomachi is an anomaly in Japan with famous historic buildings like the Motomachi Roman Catholic Church, Russian Orthodox Church and Chinese Memorial Hall setting the tone. Old western merchant houses and consulates bestow an undeniable European feel on the streets. Nothing in Hakodate will strike you as more unique than Fort Goryokaku, a star-shaped citadel to the north of the city centre. The fortress, built in the 1860s during Edo Period to defend Hakodate against western imperialists, saw its fair share of action in its time although not from its intended attackers, but from within Japan itself. As a military installation, the history of Fort Goryokaku was relatively short-lived, eventually turning into a city park in the World War I era. Today, Goryokaku Park is one of the best places to chill out in Hakodate. If you can hack it, try to visit the park in early May when the cherry blossoms in Hokkaido finally come out in full force. To get a sense of the enormousness of the citadel, zip up to the observation deck of the 107-metre-tall Goryokaku Tower at the southwestern edge of the park. You can access Goryokaku Park via tram (¥230) from Hakodate Station in 10 minutes. Alight at the Goryokaku Koen Mae tram stop where it’s a 10-minute walk to the fort. SHARE HOTELS HakoBA Hakodate: A budget-friendly 3-star hotel that offers both shared and private accommodations in a superb location. The stunning harbour views from the rooftop terrace are a nice touch. Four Points by Sheraton Hakodate: A clean and comfortable hotel featuring a convenient location directly outside the main train station. The harbour and city views from a handful of rooms are simply wonderful. La Jolie Motomachi By WBF Hakodate: A small and quiet boutique hotel located close to the interesting district of Motomachi and the Hakodate Ropeway. The on-site onsen is a welcome surprise for the city. From Noboribetsu, the easiest way to get to Hakodate is by limited express train via the JR Hakuto Line. The trip takes approximately 2.5 hours and costs ¥6,890 for a reserved seat. Trains leave about every 90 minutes throughout the day. Both the Japan Rail Pass and JR Hokkaido Pass can be used on the route. Visiting Hokkaido in winter? Toss in a little time in Niseko, one of the top ski resorts in Japan, for some serious downhill action. Spare a little time for nature? Carve in a visit to Shikotsu-Toya National Park en route from Noboribetsu to Hakodate, where the beautiful Lake Toya & Lake Shikotsu await. 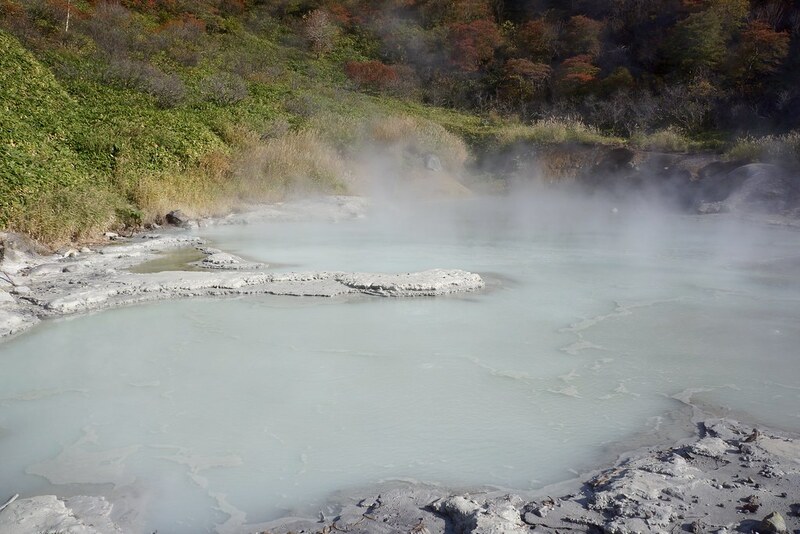 The region also unloads some of Japan’s best hot springs and a chance to get close and personal with the active volcano Mount Usu. Built up an appetite? Throw in a day trip to Asahikawa, the second largest city on Hokkaido. The city’s Asahikawa Ramen Village serves up a unique Hokkaido specialty, a ramen noodle soup with a soy sauce base. Honshu: The Japanese “mainland” is just a short ride away from Hakodate. Flex your Japan Rail Pass and get moving through Japan’s most famous destinations including Tokyo, Nikko, Nara, Kyoto, and Osaka on this 10-day Japan itinerary. Korea: For a culinary and cultural adventure, Japan’s nearby neighbour is just a short flight from Hokkaido. Get started figuring out what to do with this complete 10-day Korea itinerary. Taiwan: Hop from one island to another (slightly warmer) one. Experience the breadth of Taiwan with this complete 10-day Taiwan itinerary.